New York: Rajeev Sethi, a prominent Indian scenographer, fills up the void of public art by initiating a phenomenal art project that is not only aesthetically pleasing, but at the same time acts as a gateway to India and its magnificently diverse and unique cultural heritage. The installation, commencing September 2013, will convert over 4,39,000 square meters of space at terminal 2 of the Mumbai Internal Airport into a large installation of art works of different mediums ornamenting it. Mumbai, being one of India’s largest metropolitan cities, attracting vast numbers of international visitors, could not have been more apt a location to house a project of such scale and motive. Passengers flying into the new international airport terminal will be gracefully welcomed with Sethi’s magnificent project, aiming to introduce swarming passengers at the busy terminal with Indian art and a gateway to the culture, arts and crafts of India. “Art should not be the privilege of just the rich or museums, it should be displayed in large public places” says Sethi. The entire project is a creative collaboration between contemporary artists and artisans of the state whose arts are being represented. It is an intriguing juxtaposition between age-old tradition and continuity. It lays emphasis on India being a country of dynamism and complexity, as it exists in several centuries simultaneously. The project defines what India is and how it is through layered narratives, simplistically representing India. It will take viewers on to a unique experience, one that’s unexplored. The artists involved in the project are a mixture of local artisans and established artists such as Gulmmohammed Sheikh, Amitavada Das, Jagannath Panda and Riyas Komu amongst several others. A few highlights of the project will include: recently unveiled segment of the project called “Udan Khatola’, ‘Touché’ and ‘Reappearances – Below the Tarmac’ in the capital, New Delhi, before it was transported to Mumbai. This too along with several other works of art, was created mostly by artisans from different states of India in the North, South, East and West. Overall, the project is funded by GVK and is the collaboration and coordination of over 1000 artists all over the country. Udan Khatola, is a piece of work where a couple of artists have collaborated on. 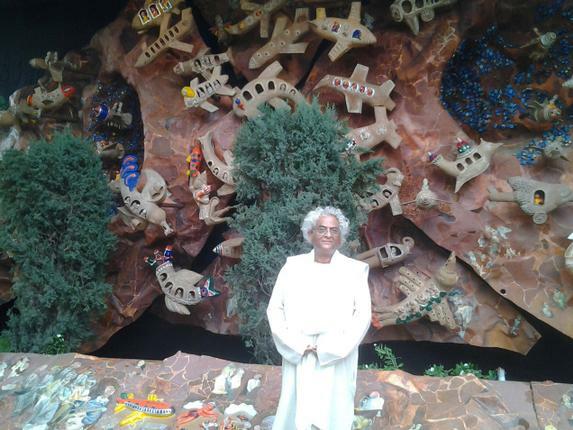 It is a 6.5ft papier-mâché sculpture conceptualized by Sethi, made by Sabtir Kanjania and painted by artist Madhvi Parekh. 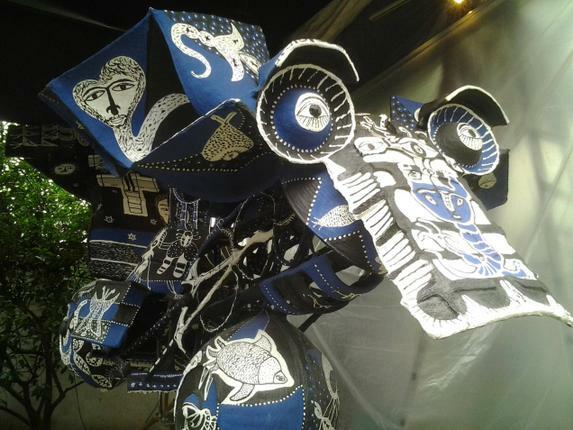 The piece is enamored by various techniques used by scenic painters of Chandan Nagar during local rituals as well as ornamented with different kinds of horses as interpreted by different traditions across the Indian subcontinent. The art displayed representing Northern India will cover at least 1.5 km of the terminal space. 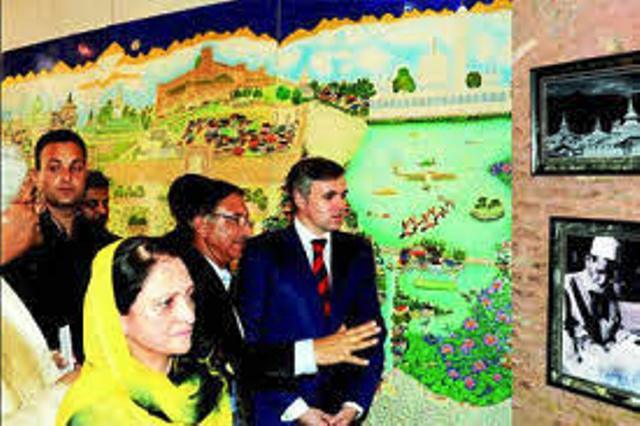 Srinagar hosted an event for the preview of murals before it was due to travel to Mumbai. “The force of art and craft can create bonds of unity and cooperation between artisans of different areas and cultures. These arts and crafts act as brand ambassadors of civilization, heritage, culture and detail about the people, their living and status,” said chief minister Omar Abdullah, at the preview in Srinagar. The large 32 by 16 foot mural represents Srinagar incorporating various places of worships from Mosques to Gurudwaras. A local artist, Fayaz Ahmed Jan, one of fourteen, working on it claimed to have spent over a year working on the mural. For a personal touch, each of the commissioned artists was given a mobile phone encouraging them to document the works being made. These would be placed near the respective works, complimenting the work of art, creating a dialogue between the viewer and the artist. Almost like a sneak preview in to the artists mind. The project overall unfolds hidden treasures and stories, layer after layer, winding and unwinding fragments of the subcontinent’s rich histories and culture, continuing forward enabling the viewer, both international and local, to admire the riches that the subcontinent has to offer. Therefore, Sethi with this unique initiative uses art and artistic representations of Indian culture and tradition, to build a sustainable platform for Indian art, especially folk Indian art on the international market for art. Below you can enjoy a video on the project and more information can be found here. Art & craft is interesting . craft products is a great products and art is best of like painting and small products.